Have you ever wondered where your order is? Ever needed a copy of an invoice you lost? Or wanted to place a new order at the end of the day without having to pick up the phone? Think your customers might want the same thing? Customer self service portals have climbed to the top of the list of things we'd like to see when dealing with new vendors. We bet it is no different with your customers. So, What Do Your Customers Want? Self-service portals give your customers the ability to access relevant information in real-time, saving you valuable time and organizational resources as well as increasing customer satisfaction. Bezlio’s self service portal software platform allows you to quickly connect to your on-premise data sources and publish this data in real-time to your customers and clients. 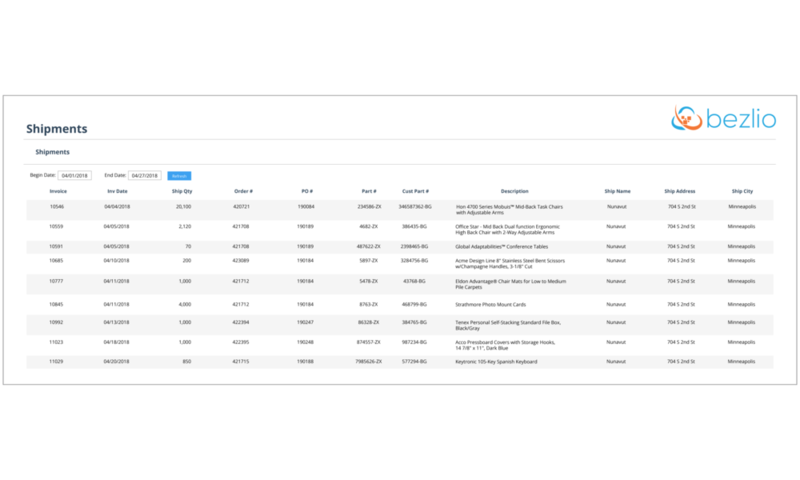 Allow your customers to see a list of their open orders and even drill down to the order details. Provide customers with the ability to search and view their previous order information. Give your customers the ability to look up and track their own orders based on their order number. 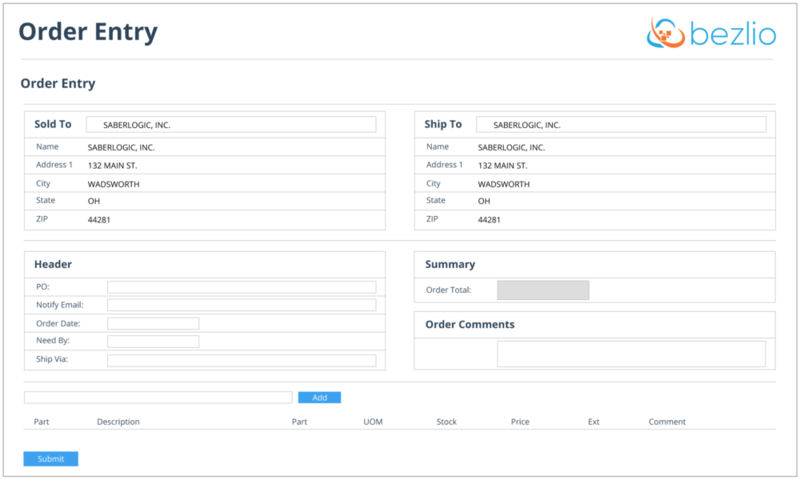 Allow your customers to look up their own shipment records. Allow your customers to look-up general & customer-specific parts and inventory in real-time. They Want to Engage and Write Back Too! Everything we've covered here is just reading and displaying data. But we have another dimension to discuss—writing back to your data source. Bezlio's two-way communication means that you can also write data and transactions back to your source application if you wish. 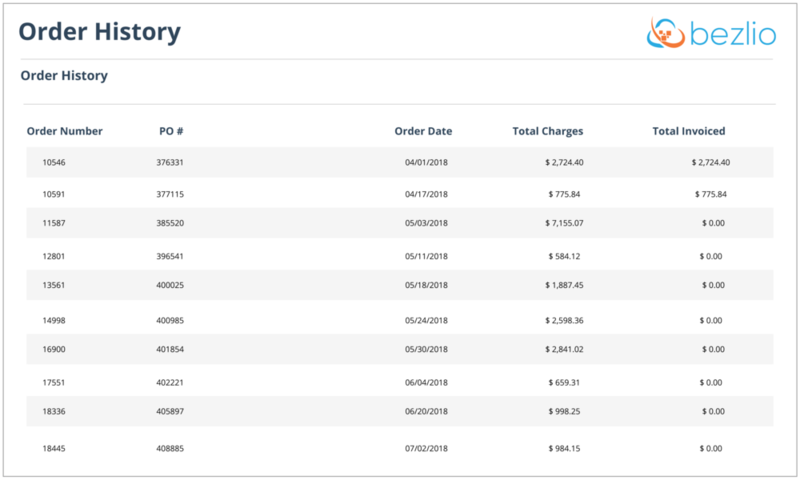 For example, one Bezlio customer is using this feature to provide a simple order entry screen for their customers to place real-time orders into their system. Give your customers the ability to place their own orders, without the need to set-up complicated e-commerce systems. If a customer self service portal is so valuable, what is holding you back from offering one? We can't share on-premise data like this without opening security risks. Bezlio's unique infrastructure means that you don't need to move your data. 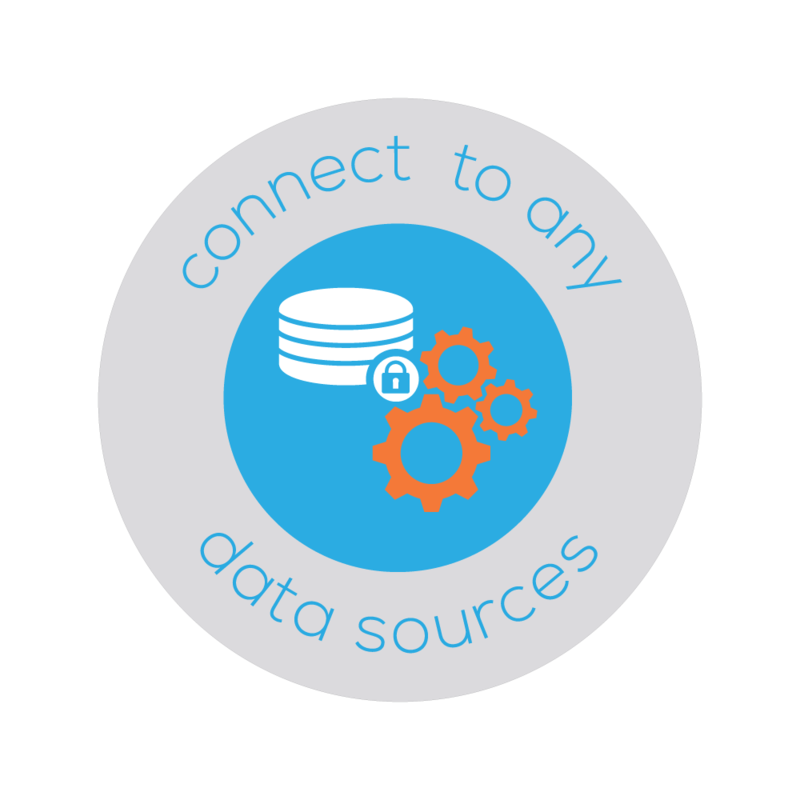 Leave it right where it is in an on-premise database or system, and Bezlio can read it and share that data securely. You do not need to open any holes in your firewall to share this data. All data transfers are securely encrypted, and only data that administrators explicitly decide to share can be accessed. We can't store sensitive data in the cloud to share with customers. Bezlio gives you all of the flexibility & power of having your data stored in the cloud, but without having to move or synchronize a single byte. Bezlio allows remote access to on-premise data without any security issues around storing sensitive customer data to a cloud service. We need some data to be real-time. We designed Bezlio around the premise that the best data is live data. We don't believe in synchronizing data to the cloud because it is instantly out of date. For many situations, like accessing invoice and payment history, this isn't an issue. 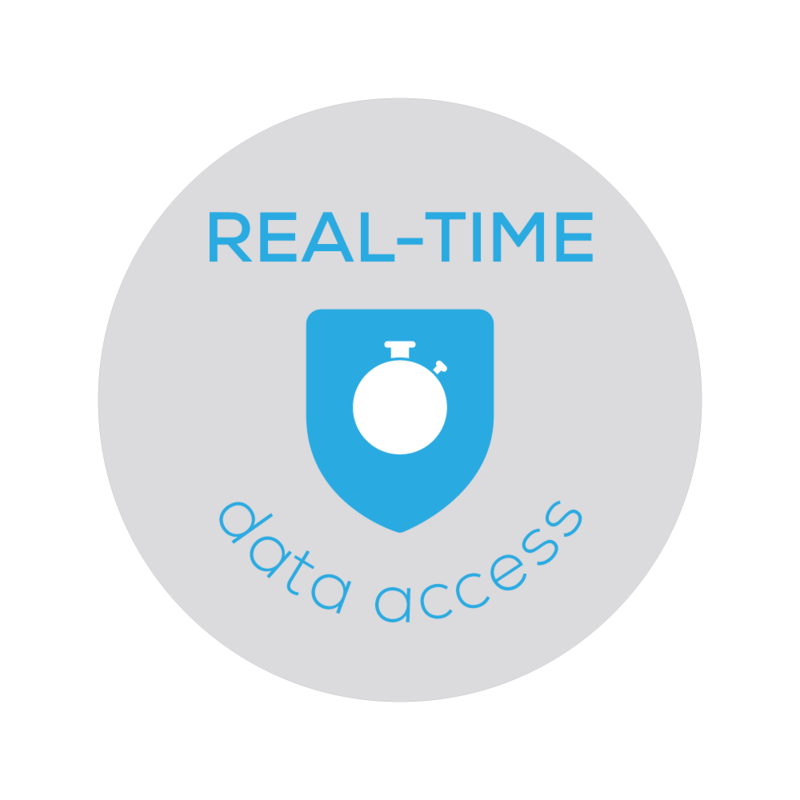 But if customers need to see real-time order status, or inventory, or anything that is time critical, then real-time is a requirement. There's no off-the-shelf solution for our system. Many legacy ERP and production systems haven't caught up to modern requirements. Bezlio modernizes any on-premise ERP system by providing a platform that offers self-service, mobile access, and custom development to mate up to any system with an open API. Install Bezlio, mate it up to your ERP using its native queries, triggers, and business rules and you are off and running. It's expensive and time-consuming to implement. 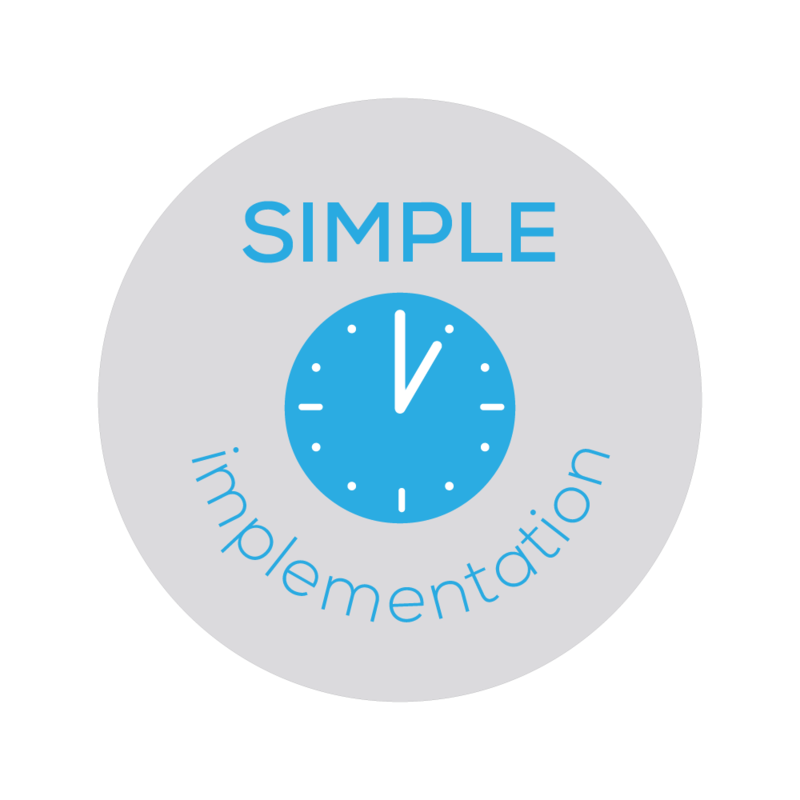 The time-consuming portion of many self-service implementations is the need to move data to make it accessible. Instead, leave your data where it is and utilize the power of Bezlio's platform to push real-time, on-premise data to users. Utilize custom queries you've already developed, tested and verified. On the front-end, Bezlio utilizes web standards to display data in simple, easy to consume ways. There are infinite ways to design and present data using tools and styling that don't require any new training. How Does A Customer Self Service Portal Implementation Work? First, install our data agent inside of your firewall, where it gets configured to communicate to your data source and where you assign the explicit permissions to the data you would like to share. Then, the queries that can pull the data can be linked up to Bezlio. These can be existing queries or new ones built to fit your exact needs. Last, onboard your customers and enjoy the benefits and ROI of a self-service customer portal! Implementing self service portal software portal has never been easier, more affordable, and fast. 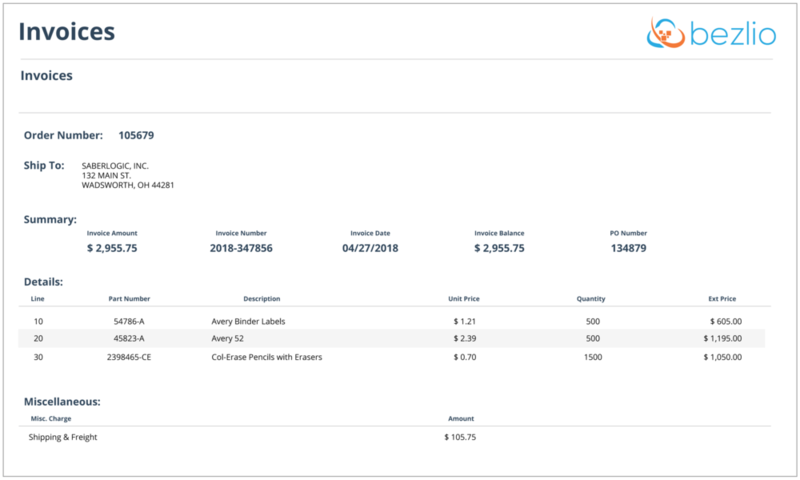 By providing customers the ability to research open orders, order history, order tracking, shipments, inventory, and invoices, you can save valuable internal resources. Bezlio also allows you to take the next step and provide the ability to write back to your data sources, with functionality like order entry. All of this is offered to your customers on mobile and desktop devices, processed in real-time. You don't have to synchronize a single byte to the cloud, and you get top-level encryption and security measure to protect you and your data. Ready to get your self-service portal project going? So are we!